Giving back long term test bikes can be a mixed bag of emotions. On occasions you know you won’t miss the bike no matter how good they might be. Other times you know the bike is going to leave a big hole in your riding life. 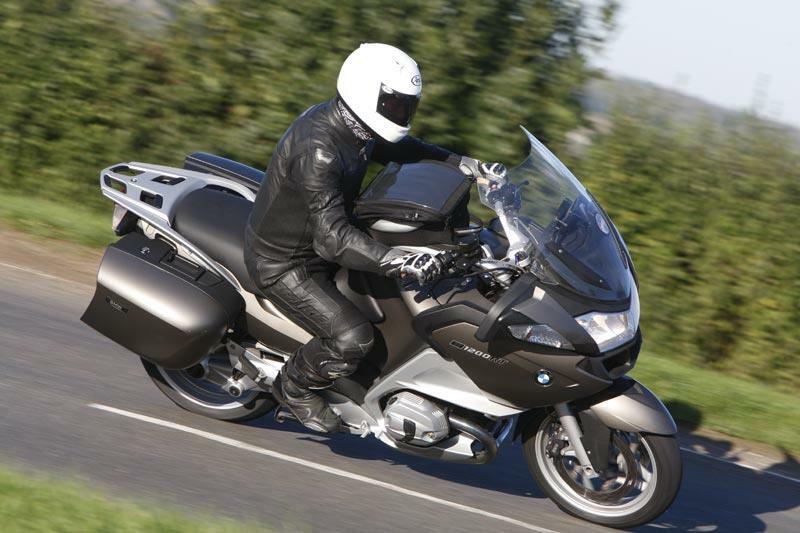 The 2010 BMW R1200RT I reluctantly had prised from my grasp is one of those bikes that I am most certainly going to miss hugely. I didn’t actually cry, but I was close to it. The 2010 bike has a host of modifications over the previous bike; the main one being a new twin-cam version of the venerable BMW motor which now has 110bhp. This year has seen the RT cover just shy of 11,000 miles since March and there have been no major issues at all…just as you would expect from a bike that will empty your wallet to the tune of £13k. The only slight problem was oil seeping from a leaking oil seal on the sight glass which was fixed in under an hour. There was one morning when it took nearly 45 seconds to fire up but it still got going in the end. The RT is a bike that can transform your perceptions of big tourers. Yes, it looks bloody massive but I am 5ft 9in and I can cope perfectly well with moving it around at low speed. If you are taller then the seat adjusts to a higher setting. Once you are above walking pace the weight to evaporates anyway. And once out on the road the agility and cross country pace is more than enough to crack your face into a big grin. It clearly wasn’t as amusing to a couple of idiots at this year’s Isle of Man TT on the one-way section of the Mountain. They saw the big, battleship grey RT hoving into the wingmirrors of their sportsbikes and unsuccessfully attempted to block an overtake. MCN colleague and veteran road tester Trevor Franklin also raved about the RT’s talents after a 2500 trip to the South of France and then Italy during the Icelandic volcano and the air travel chaos when he had to attend two different bike launches. The combination of comfort, pace, sat nav and luggage were perfectly suited to that sort of mileage. 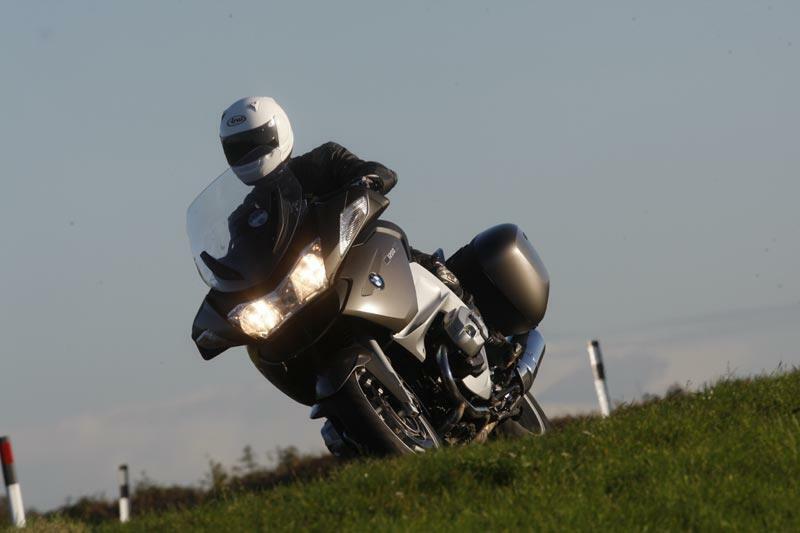 The bike has now gone back to BMW and I am left wondering just how it can be replaced as a do almost anything bike. For now I am at a loss to answer that. • The comfort, lovely build quality and sheer capability of the RT is what makes it so special. • The fact that you can get about 275miles out of a 24 litre fuel tank makes this a great tourer. • The improved grunt, smoothness and performance of the new twin-cam Boxer motor is noticeably better than the previous generation. • Of all the tyres I have tried this year; Original Metzeler M6 Interact, (pretty good), Bridgestone BT023 GT, (very good) and Dunlop RoadSmarts, (sensational) the Dunlops were significantly better; particularly in the wet. • The Garmin sat nav is brilliant and easy to see and use. • Changing people’s perception of tourers isn’t helped by the dull colours available…all the owners I have spoken to want brighter colours to choose from. • In heavy rain the water blows up the front fairing and then across the top of the dash before pooling on the clocks; thereby obscuring the information screen. • Getting to the rear tyre valve needed an adaptor as it’s so hidden away. • The LCD dash isn’t big or bright enough and because it’s backlit in an orange colour wearing a dark visor on sunny days means I can’t read it. I think this is something to do with the way a dark visor filters the orange light getting to my eyes. • The fuel filler cap keeps dropping shut and the inlet tube can result in a fuel geyser for those that aren’t used to it. • It likes a drink of oil; expensive Castrol stuff too. But all Boxers do that.  • Err that’s it…and it’s taken me ages to think of those.